Skill game: the player controls Mr.Do, a clown, in order to collect diamonds. 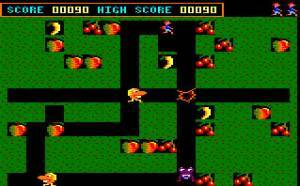 The player must dig to get a way and has to destroy enemies by dropping apple on them or by launching a magic ball. . 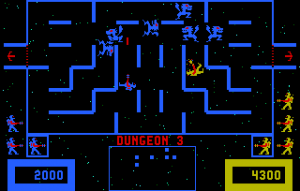 This game is inspired by "Dig Dug" a had inspired two years latter "Fruity Frank".